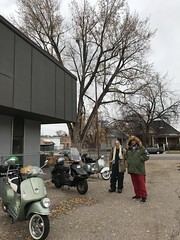 There is podcast called Motorcycle Men that is hosted by 3 motorcycle riders. 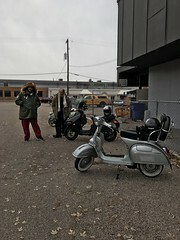 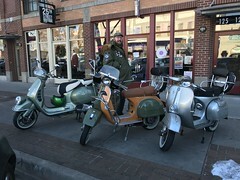 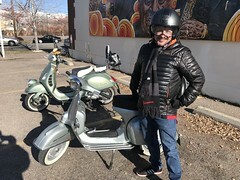 Recently they contacted some of us who are on Modern Vespa to hear our stories. 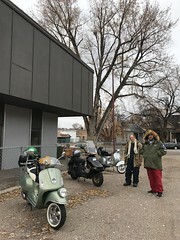 The interesting thing is that they admitted their podcasts with scooter riders listeners exceeds the motorcycle ones. 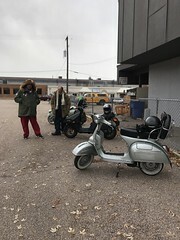 So click on their links with on of the scooter podcasts below and let them really know that we are waving with a smile at them as they pass.